Hany Elsheikha is affiliated with ESCCAP UK & Ireland. The University of Nottingham provide funding as a founding partner of The Conversation UK. We use a Creative Commons Attribution NoDerivatives licence, so you can republish our articles for free, online or in print. Global events such as climate change and an international trade have caused a number of dangerous parasites to emerge in countries where they haven’t been found before. The parasites, which can invade and damage vital body organs such as the brain, range from one-celled organisms to relatively large tape worms. Here are five that, though still thankfully rare, have made an appearance in new places. Halicephalobus gingivalis is a soil-borne, free-living nematode. 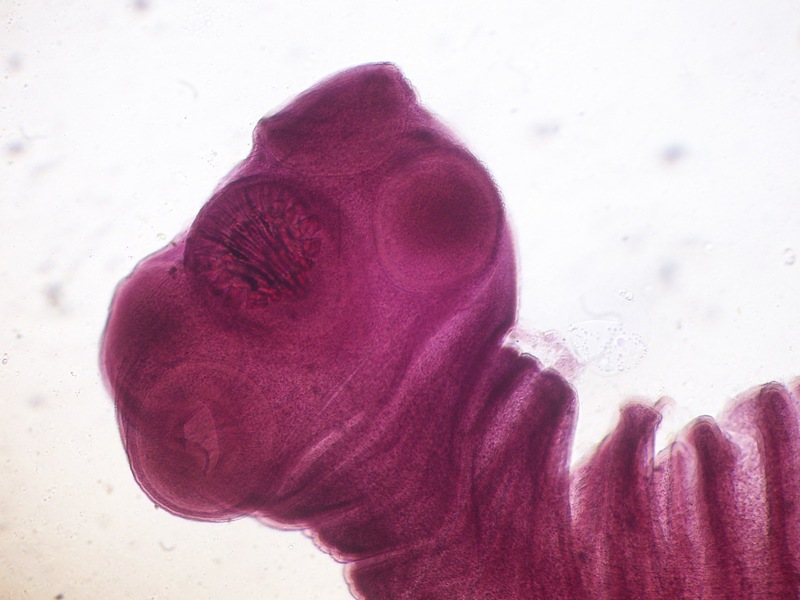 This worm is generally harmless, but under certain conditions can infect humans and animals. H. gingivalis is now detected worldwide and has reportedly caused neurological disease in horses in countries including the UK, Japan, Canada, US, and Iceland. Human infection is rare and only affects those with compromised immune systems (for example cancer or HIV/AIDS patients) but the outcome is always fatal meningo-encephalomyelitis – an inflammation of the brain, spinal cord and their membranes. This was the cause of the tragic death of two patients who received infected kidneys in November 2014 in Wales. H. gingivalis colonises its host in different ways, including through ingesting contaminated food or breaks in the skin and is usually only discovered after death. Taenia solium, also known as the pork tapeworm, can cause epileptic seizures and other neurological problems in humans from ingesting eggs containing infective larvae. The breakdown of the egg’s shell occurs in the intestines, allowing the larvae to exit and enter the bloodstream. Once in the circulation, larvae may settle in many types of body tissues. Sometimes larvae cross the blood-brain barrier and enter the central nervous system (CNS), where the embryos develop into fluid-filled cysts leading to a condition known as neurocysticercosis which results in seizures and is one of the most dangerous parasitic CNS infections worldwide. Diagnosis of neurocysticercosis is difficult due to the lack of specific clinical symptoms. The disease – which normally affects people in South America, Asia and sub-Saharan Africa – has been exceptionally rare in Western countries, however a few cases have been reported in the UK and the US. Hidden lung worm is a microscopic roundworm that can be found in the blood of its host. 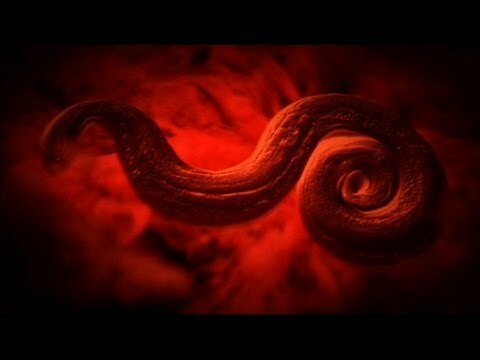 This parasite has been reported to secrete biological molecules which can damage brain functions. Diagnosis is difficult due to the lack of specific clinical signs, especially when multiple organs are affected. Infection with C. pulmoni is still hard to determine, and it is possible that certain parasite subtypes exist that are yet to be identified. One US study even linked C. pulmoni with the development of chronic fatigue syndrome. Spirometra erinaceieuropae is a rare species of tapeworm that spends part of its life in amphibians and crustaceans before moving on to cats and dogs in the final part of its life cycle. Humans are considered an accidental host for this worm species and while living in a person, the parasite will not reach maturity. S. erinaceieuropae infections – known as sparganosis – are most likely to be imported from areas like China. Some of us may have heard of the recent case of a British man who had headaches, seizures and memory loss for four years, which later was found to be caused by S. erinaceieuropae. This parasite has been reported only 300 times worldwide in the last half century and had never been seen in the UK before that case. Infection is acquired by drinking water containing infected crustaceans, by ingesting raw infected reptiles or frogs or by using a raw frog poultice to cure sore eyes. Spirometra infections are characterised by the appearance of large nodules below the skin and swelling of the muscles which control eye movement. Infection can also involve the brain and spinal cord. Diagnosis of infection is achieved by biopsy of the lesion, imaging and diagnostic methods. While parasitic brain infections are not common they do occur and pose great diagnostic and therapeutic challenges. Diseases caused by them should not be regarded as neglected or exotic, because human cases have recently reported and in countries with a high standard of comprehensive health and medical services. Understanding host-parasite interaction is a fundamental step in the development interventions and treatments for these parasitic horrors.